touched, and found to be pleasant. I lie down to rest. The new video runs for 5 minutes – that isn't very long. It should not be "consumed" like today's advertisements, video clips or short information. The slow motion of the figure in the painting is intended and provoking. Coming into resonance with these movements means adapting one's own speed to that of the figure. This requires inner motion and remains subtle. It does not follow the accustomed scheme of 'faster' and 'better', but widens the view onto the apparent standstill of a distant horizon. 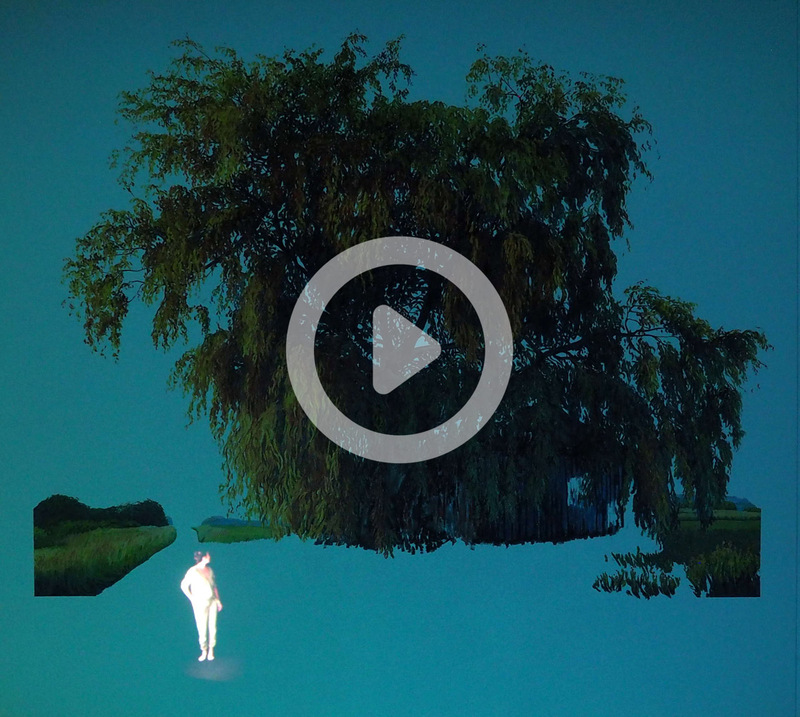 The landscape in the painting is not a "stage setting" for the figure in the video. The overall work of art is created by the interaction of painting, the concept of empty space, and the sequence of movements by the film.